Darlene Zschech (Shout to the Lord) has created another heartfelt song of praise. This prayerful ballad captures a mood of true worship while Tom Fettke's arrangement is inspired. 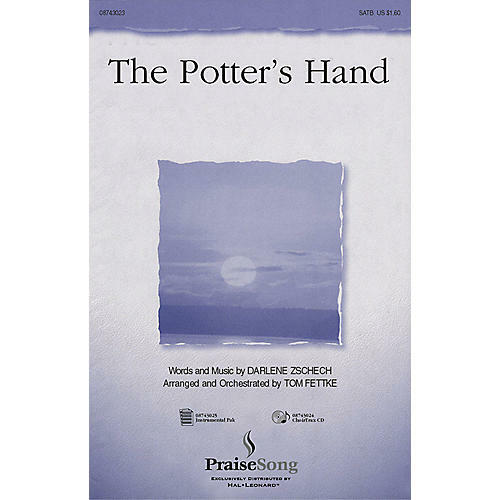 Take me, mold me, use me, fill me; I give my life to the Potter's Hand.Available separately: SATB, ChoirTrax CD and Instrumental Pak (Full Orchestra).